Now, on the face of it- who cares, right? A map is a map is a map- except, when, of course it's not. School children for generations have probably become very used to seeing the bottom map. It makes both Russia and the United States seem large and important- and back further and further in the day it placed Europe (and more specifically, London, if you're an Anglophile) in a curiously central position. The top map? It's more accurate than the bottom one- and the big news last week is that Boston Public Schools are the first and so far largest public school sysem to officially switch to the Gall-Peters Projection. I wanted to dislike this, but ultimately, I can't. 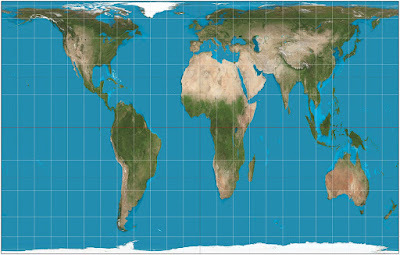 The Gall-Peters Projection is more accurate. It's not necessarily all that aesthetically pleasing- the northern longitudes gets a bit squished at the top. 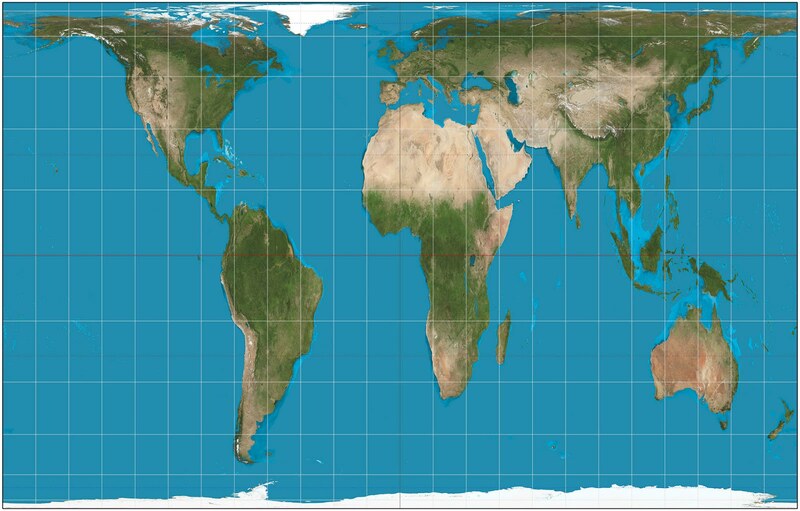 But I've also go some aesthetic issues with the Mercator Projection as well. Greenland (while full of ice) is not that freakin' big. Neither is Antarctica, which looks as though it must be populated by White Walkers who are going to swim up to the Tierra Del Fuego and turn us all into Snow Zombies or whatever the hell they are. Crazy Fact, but true: Africa is large. Like crazy large. 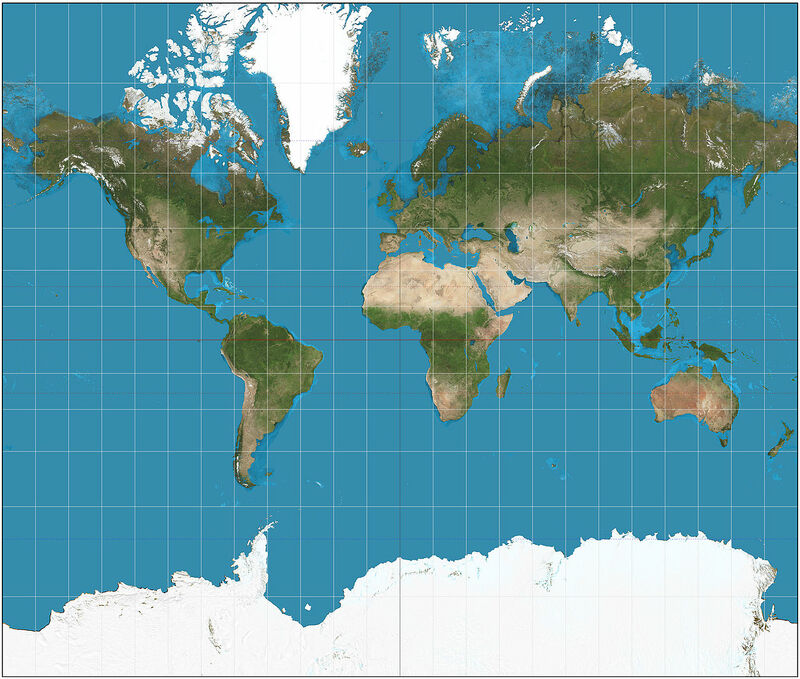 And the Peters Projection reflects that perfectly. 12,784 km which is 7,943 miles give or take a decimal point. This route takes you through Egypt, Libya, Algeria, Niger, Nigeria, Cameroon, Gabon, Republic of the Congo, the Democratic Republic of the Congo, Angola, Namibia and finally South Africa. Zoom out on your Google Maps and Africa doesn't look that big, It looks maybe about the size of North America. Just eye balling it. From Prudhoe Bay, Alaska to Key West, Florida comes out to 5,492 miles which is still 2,400 miles shorter than our route through Africa. 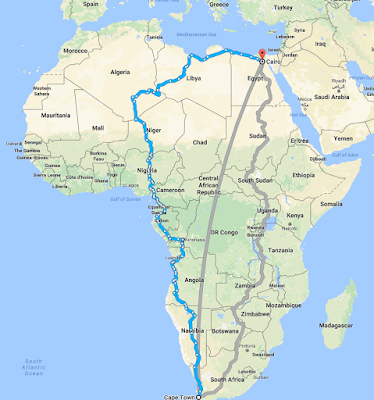 Going from Cairo to Cape Town is like driving from Prudhoe Bay to Key West and then hopping on a plane to Washington DC and driving to San Francisco. And while I'm a freak that likes to play with Google Maps to find out things like this, in an age of alternative facts and fake news, a decision like this is bound to attract controversy from somewhere. But the beautiful thing is that the internet has provided you with the tools to draw your own conclusions. Don't take my word for it. Go see for yourself. The numbers don't lie. The Peters Projection takes those numbers and projects them more accurately on the map. That alone makes switching from Mercator to Peters the correct decision. One can only hope that more districts follow in Boston's wake.